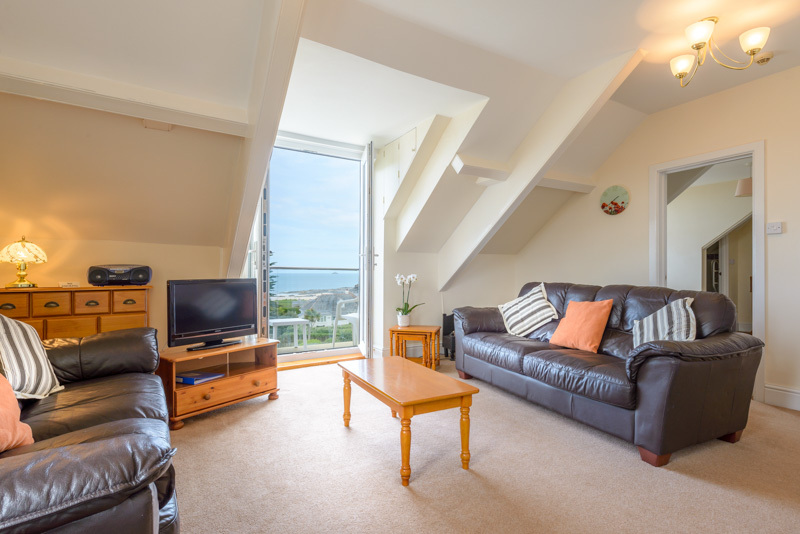 Recently refurbished, with Balcony and stunning sea views overlooking the Bay and Coastline, the apartment is divided into two self contained sections either side of the landing area. The front section with balcony comprises a spacious lounge⁄diner; new fully fitted kitchen; double bedroom with en–suite. The other section consists of two bedrooms, one double and one twin single room and a bathroom. 2017 terms from £630. to £1095. Reduced rates for couples outside the main season. 4 Star Rated Ideal for a family stay.